Balatonföldvár is located on the southern shore of Lake Balaton and most developed city on the southern shore of Lake Balaton! The city is Balatonföldvár with its three beaches (which can be used FREE of charge!!! ), Tennis courts, parks, restaurants, shops, discos and nightclubs, etc.. a very nice center on the southern bank on the southern shore of Lake Balaton. The city received 1994 "European price " for their cleanliness and their flowers. At the prize "For a floral Hungary", the city won the first prize. During the summer season we expect our dear guests with numerous meetings ( Festivals, concerts, exhibitions folklore evenings, place music ). 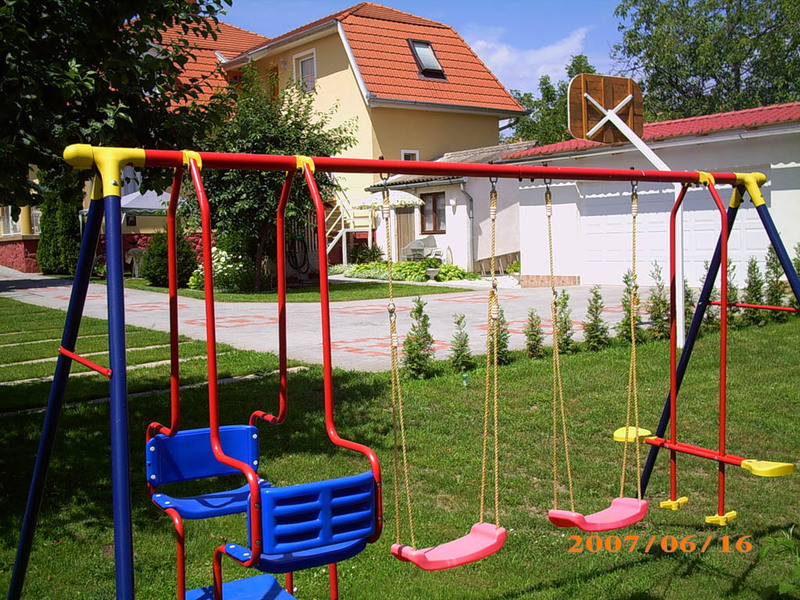 Together with the surrounding settlements we offer many entertainment and sports facilities. Click here >>> Special Offer!!! In the immediate vicinity there is an angler's paradise, where you directly into the fish rearing ponds fishing allowed (Balatonöszöd). The entrance fee per Angel about EUR 6. In Szántód (a town on) can be reached by car ferry across the lake and visit the northern side. 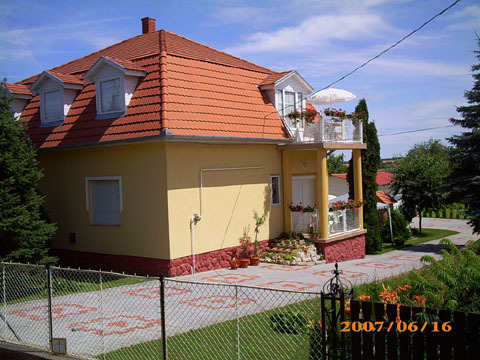 In Balatonföldvár there are three very well-groomed and open beach resorts with boat rental. (Dogs are not welcome here). The associated parking is also free! 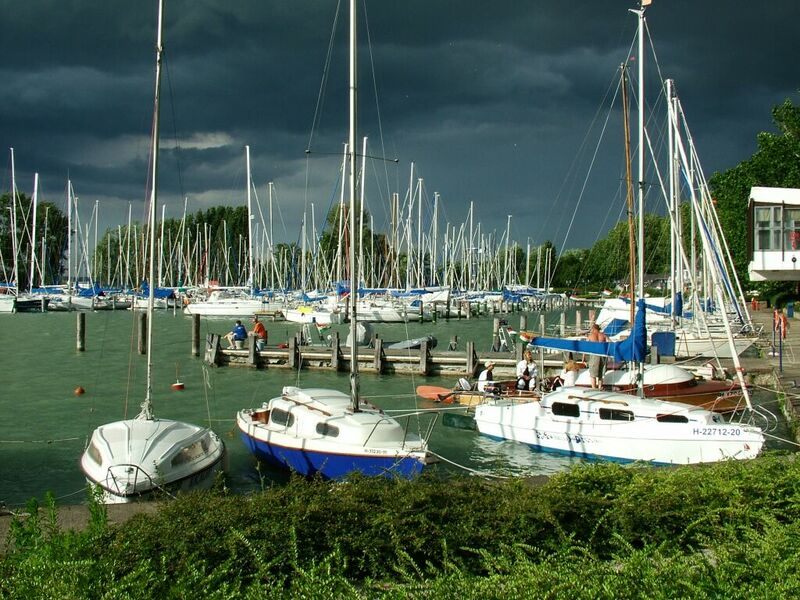 In Balatonföldvár There is also a very large marina (see picture). Now you can send your request via the Web easy place! Mr. Zab rents here 2 holiday houses. House 1. (groundfloor Apartment for max. 8 Persons, AND firstfloor Apartment for max. 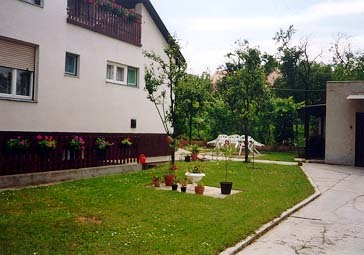 6+2 Persons) Both apartments have a separate entrance . House 2. (groundfloor Apartment for max. 2+1 Persons, firstfloor Apartment1. for max. 6 Persons, firstfloor Apartment2. for max. 4 Persons) Both apartments have a separate entrance. Ground Floor: 120 m2 a large apartment (max. 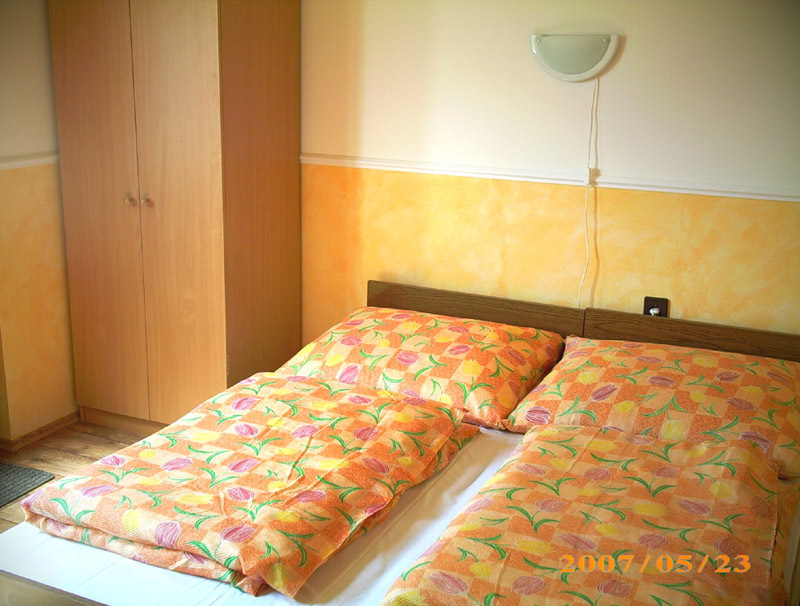 8 Persons) with two double bed rooms and 4 bed rooms. 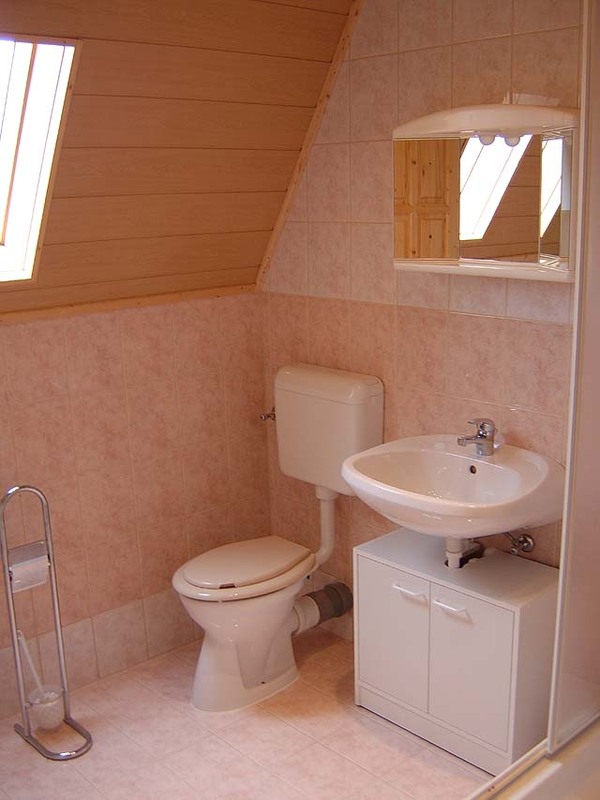 Bathroom with bath tub, seperate Toilet (WC). 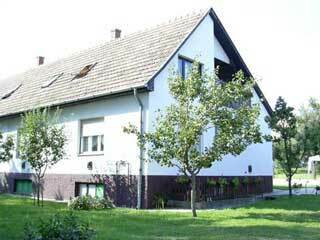 A large hall with one modern furnished Kitchen with gas cooker (town gas), refrigerator, coffee maker, dining table for 6 people, seating are also available, plates, glasses and crockery, there is sufficient. CableTV with many programs. 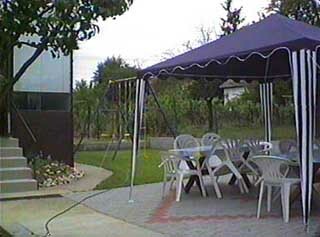 Also a large covered Terrace fully equipped. The children can play in the garden,or the evening you can share a glass of wine. Parking is free in the large courtyard. Seating in the garden. More pictures of House 1. (see Photos). First Floor: 80 m2 a large apartment (max. 8 Pers.) with 3 double bed rooms (with balcony) and a living room with a comfortable sofa seating which is also backed up to 2 children could sleep. 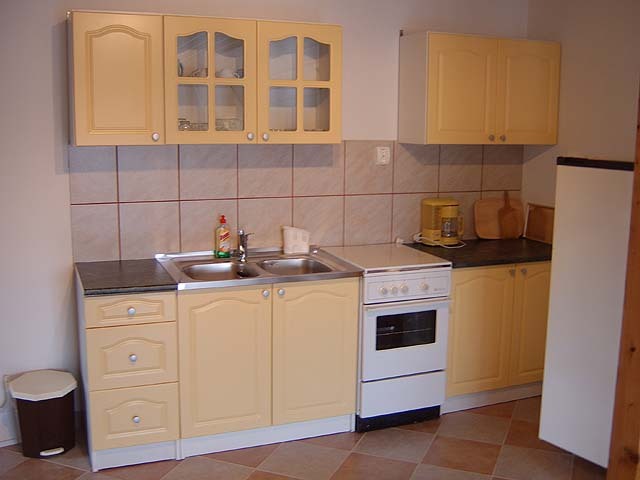 The kitchen is equipped with modern gas stove (town), fridge, coffee maker, dining table. Shower, toilet (WC). CableTV with many programs. Seating in the garden. Parking is free in the large courtyard. Distances: Lake approx. 1300 m, business approx. 300 m, restaurant approx. 200 m, main street approx. 900 m, yachting port approx.. 1600 m.
Ground floor Apartement 16 m2 Apartment for 2+1 Pers., with CablesTV, Mini kitchen with refrigerator, coffee machine, bath/WC, small terrace seating in the garden. Parking is free in the large courtyard. First floor: Apartement 1. 90 m2 a large apartment (max. 6 Pers.) 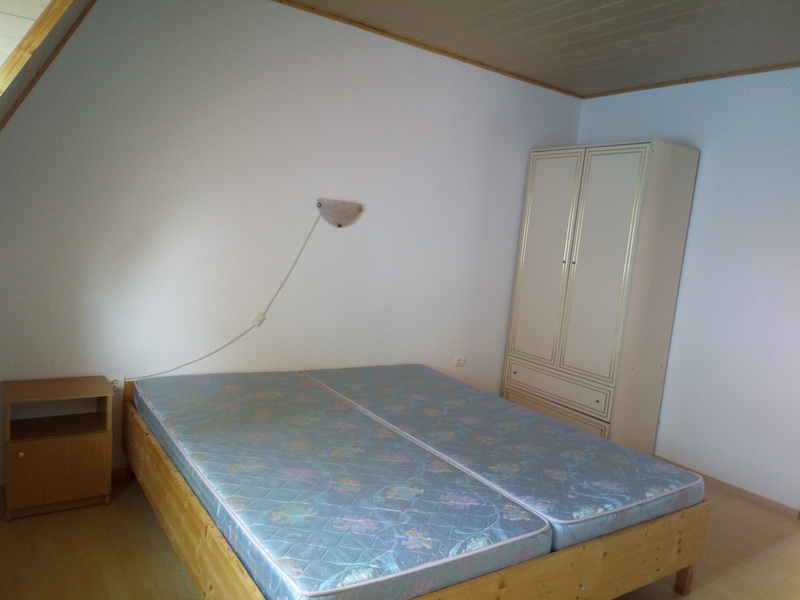 with 3 twin bedrooms, living room with seating (sofa bed for 2 pers.) And cable TV, modern kitchen / dining, with electric stove, refrigerator, coffee maker, dining table for 6 people, bathroom, toilet, terrace, with seating, parking is free in the large courtyard. 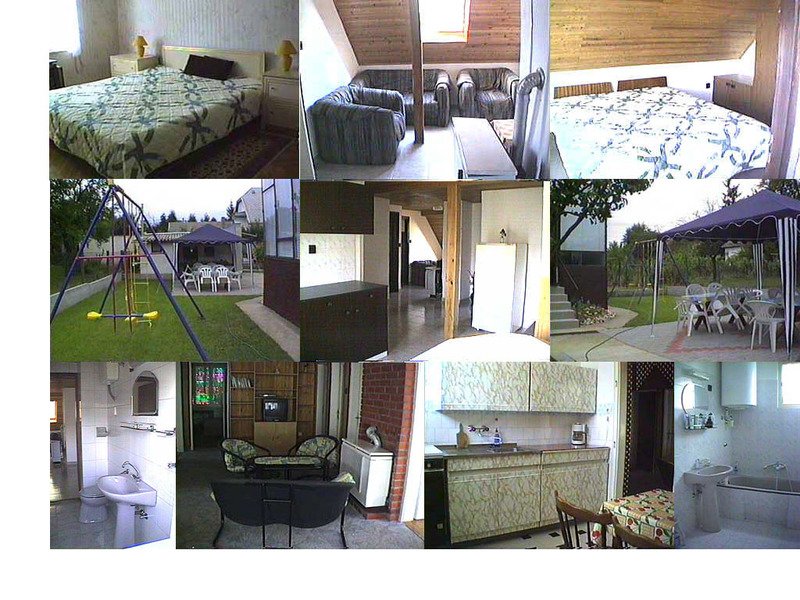 More pictures of House 2. (see Photos). First floor: Apartement 2. 35 m² apartment (max. 4 Pers.) 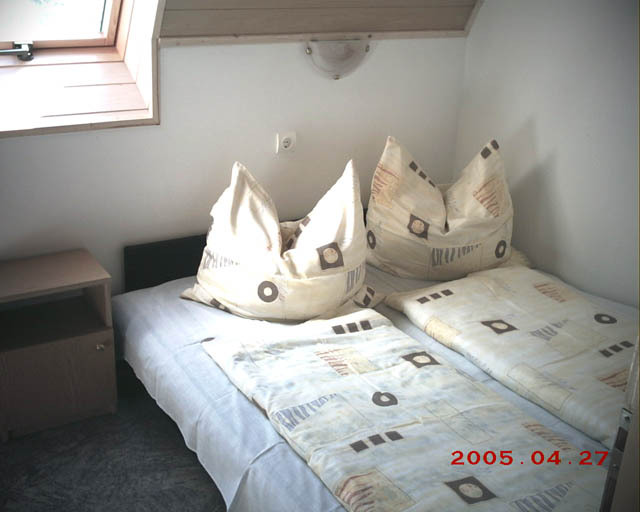 with 1 twin bedroom, living room with seating (sofa bed for 2 pers.) And cable TV, modern kitchen with electric plate, refrigerator, coffee maker, dining table for 4 people eater., Bath, parking you can free the big yard. Distances: Lake approx. 1500 m, business approx. 300 m, restaurant approx. 100 m, main street approx. 1100 m, yachting port approx. 1900 m.
Both houses are located approx. 200 m apart. The season starts from 15 May (Easter holidays also) and goes until 20 June. Then the main season to 19 August, the post-season goes until the end of September. The house 1 Upstairs "ALLSAISON" to let! The apartments in the first post-season with fewer people may be paid. In the high season, the apartments, each with 8-6 or 4-2 persons are. During the early post-season rentals are naturally heated.